Hariharan Live in Concert – Mehfil-e-Ghazal & Geet. 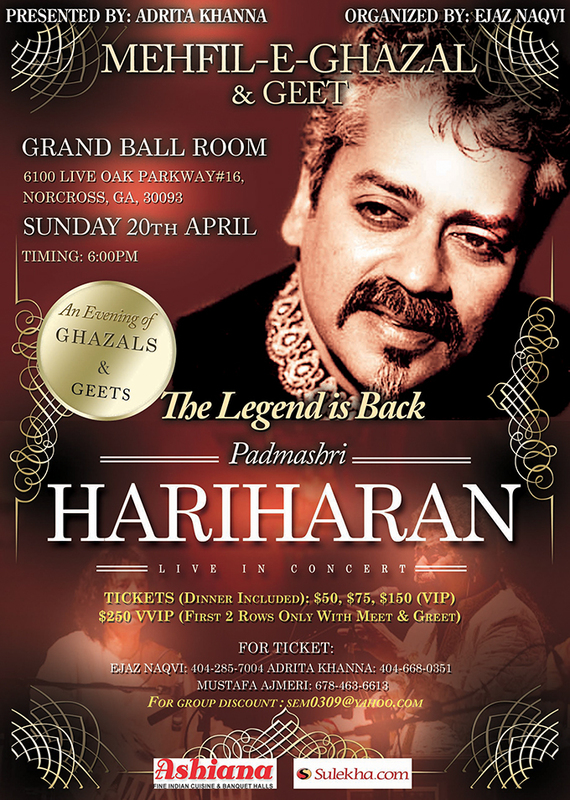 The Legend is Back in ATLANTA after 7 years, with his melodious Geets and Ghazals. You certainly don’t want to miss this event. Tickets ( Dinner Included) : $50, $75, VIP $150, $250 VVIP( With Meet and Greet First 2 rows only).